ESS (M) Sdn Bhd iOS App has been published on App Store. ESS (M) Sdn Bhd Android App has been published on Google Play. 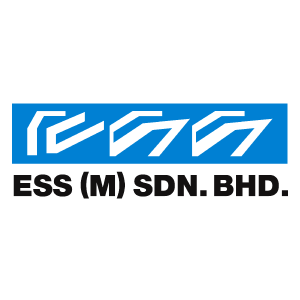 ESS (M) Sdn Bhd updated in Introduction. ESS (M) Sdn Bhd added 11 photos in Eaton - xEnergy-Circuit Protection Category. ESS (M) Sdn Bhd added 4 photos in Eaton - xEnergy-Power Distribution Category. ESS (M) Sdn Bhd added 2 photos in Eaton - xEnergy-Circuit Protection Category. ESS (M) Sdn Bhd added 2 photos in Eaton - xEnergy-Power Distribution Category. ESS (M) Sdn Bhd added 7 photos in xEnergy-Busbar System - 5 Basic Variants for Busbar Back and Busbar Top Category. ESS (M) Sdn Bhd added 2 photos in xEnergy-Busbar System - 2 Configurations, Busbar Back & Busbar Top Category. ESS (M) Sdn Bhd added 9 photos in Danfoss / Vacon - Low Voltage Drives Category. ESS (M) Sdn Bhd added 2 photos in Danfoss / Vacon - Decentral and Motion Drives and Gear Motors Category. ESS (M) Sdn Bhd added 10 photos in Protection Relays - MiCOM Px40 Series Category. ESS (M) Sdn Bhd added 7 photos in Protection Relays - MiCOM Px30 Series Category. ESS (M) Sdn Bhd added 6 photos in Protection Relays - MiCOM Px20 Series Category.